So, without further ado, we can announce that today's winner of the esteemed Tales Tweet, I mean Quip, of the Week award is a two timer...I mean a two time winner. This winner is one of the Tales favorite people [as noted in this post: " ... But As For Me" ]. 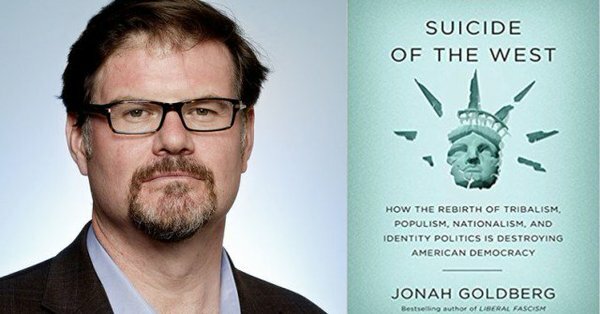 He is a senior editor of National Review, a best time seller with his "Suicide of the West", and most importantly a lover of dogs and just a nice guy: Jonah Goldberg. 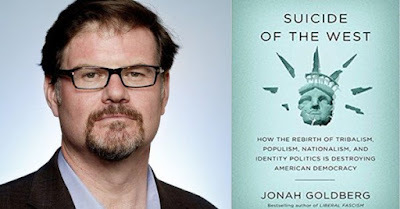 So, for Jonah's quip, "The living will envy the dead", the Tales would like to congratulate Jonah Goldberg. Remember everyone the Tales is watching twitter, and maybe you can achieve the greatness of this Tales award next week...whenever next week appears on the Tales timeline.